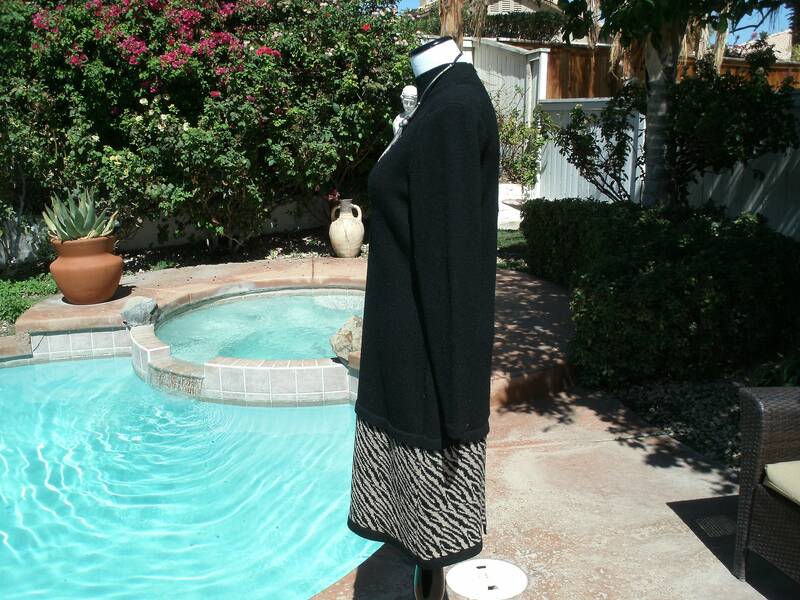 Classy Lillie Rubin Black Knit Dress,Vintage 80's,Size 6. This is a lovely vintage piece in excellent condition. 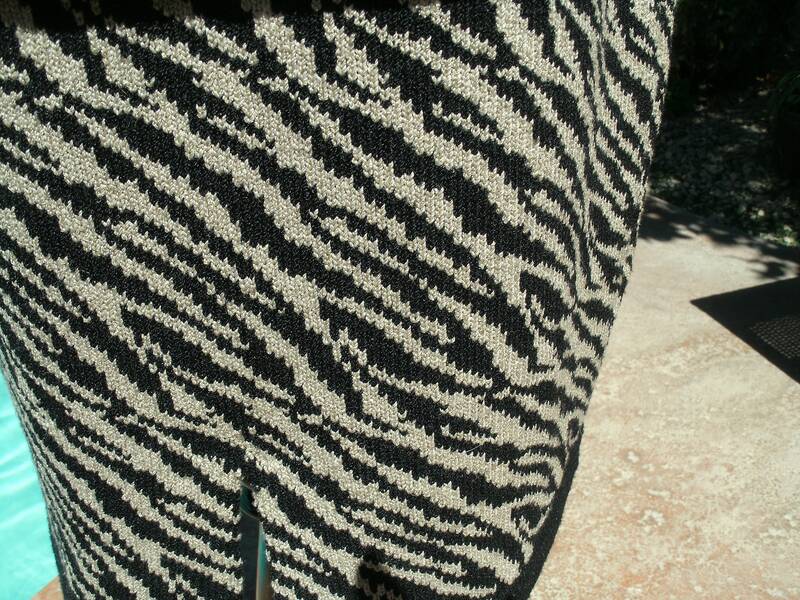 It is a black knit long sleeved sheath dress with an interesting animal print knit at the bottom hem line. It has padded shoulders, a zipper at the back and a mock turtle neck giving it a sophisticated look. 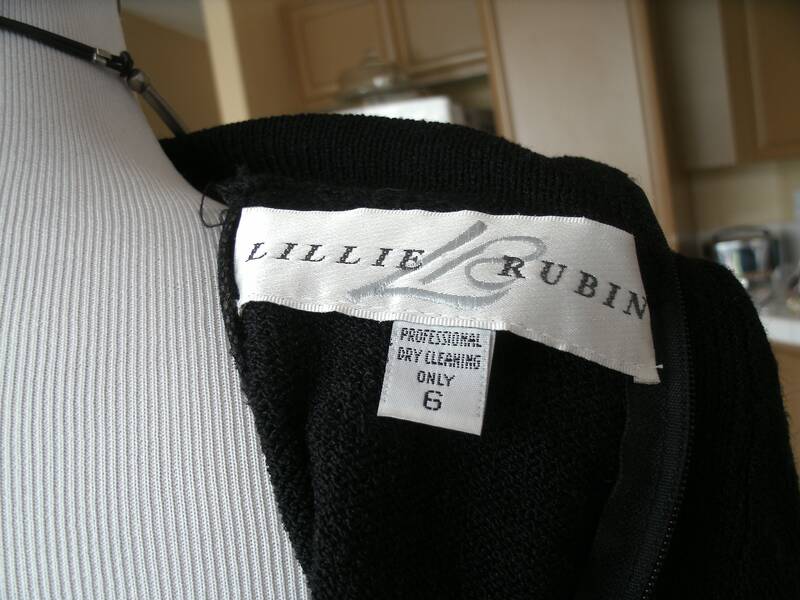 The label reads Lillie Rubin Size 6.Please message in further information is needed.